Posted in: Uncategorized. Tagged: Charlotte, DNC, drones, Obama, Protest, World Can't Wait. On Sunday September 2nd the World Can’t Wait hit the streets of Charlotte, NC. 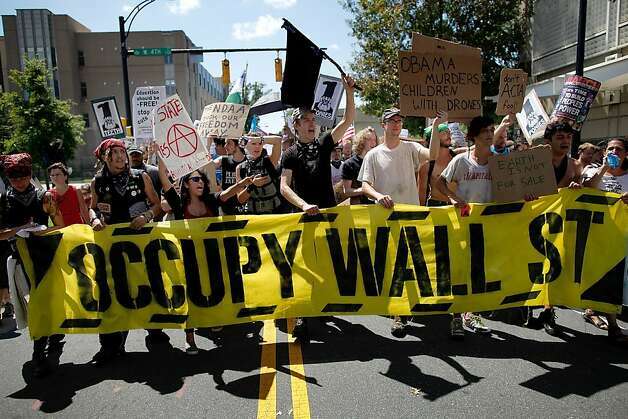 A small but determined crew participated in the March On Wall Street South. 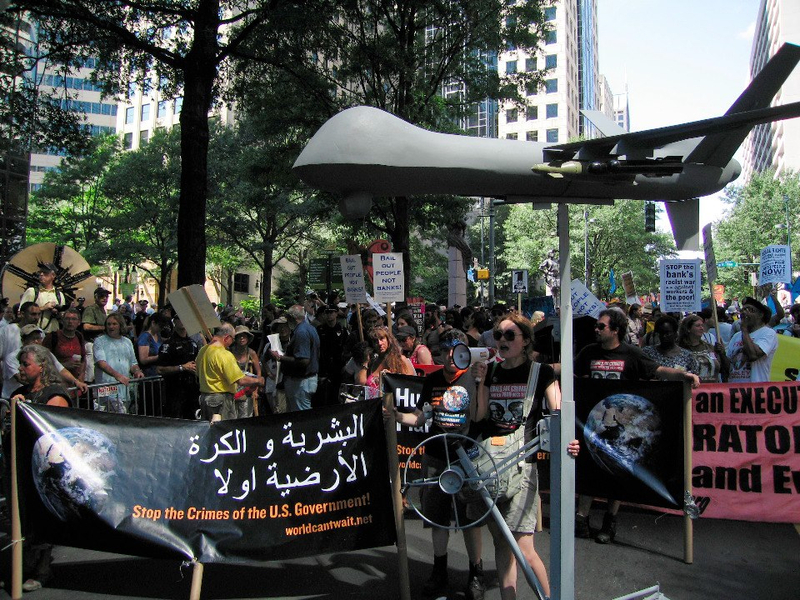 World Can’t Wait was there to protest Obama’s drone wars and challenge the “lesser of two evils” argument. 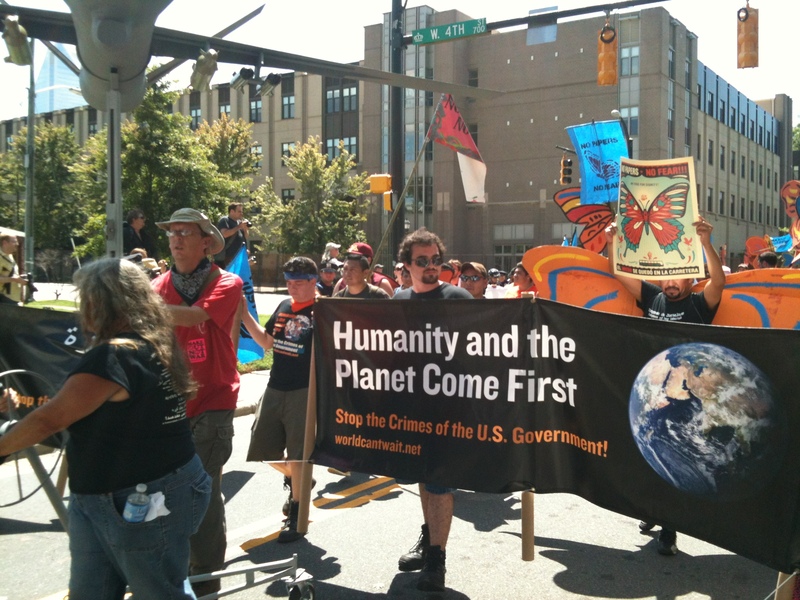 At one point the protesters were waiting to proceed with the march and a World Can’t Wait activist began to agitate to the delegates to the DNC and residents of Charlotte gathered on the side walk about the grim realities of Obama’s drone wars for the people of Afghanistan, Pakistan, Somalia, and Yemen. 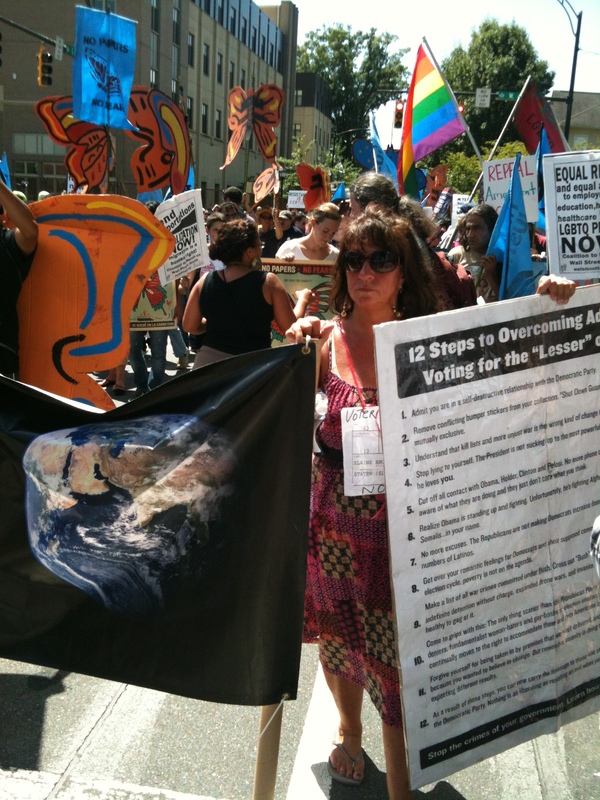 It was during this point that the 12 Steps to Overcoming the Addiction to Voting for the Lesser of Two Evils was read to the crowd of an enlarged copy which had also drawn much attention through out the day. 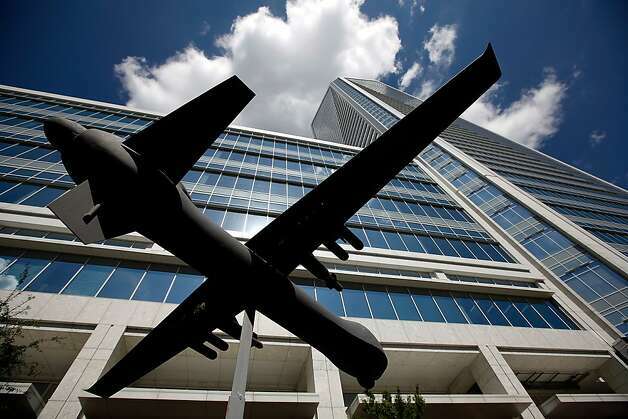 Some 800 demonstrators marched through the streets of Charlotte around the convention hall, protesting what they call corporate greed as well as U.S. drone strikes overseas, said to kill children as well as terrorists.